Home > Flights > Booking Flights > Is ASAP Tickets Legit? Do you want to save time and money booking flights for your next vacation? 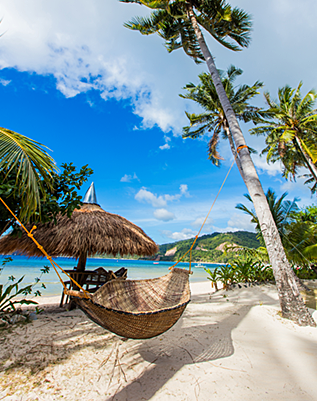 If your answer to this question is “Yes!”, then you should consider using a travel agent. Plane tickets are an important investment, so you’ll need to choose an agency you can trust. But how do you know who is ‘legit’? Let me tell you how ASAP Tickets is legit! We have been in the travel industry since our founding in 2001. So we have over 15 years of experience in getting the best deals! We are constantly growing and improving the services we provide for our customers. Recently, ASAP Tickets has become even bigger, with over 1000 travel agents. We have over 50 exclusive airline contracts, work with over 200 airlines, and have reduced our callback time to <60 seconds. The American Society of Travel Agents (ASTA) is an organization of travel agents and travel suppliers. Wherever you see the ASTA logo (pictured) you can expect professionalism and integrity. Membership with ASTA is the most endorsed professional affiliation for trustworthy travel agents. ASTA members must follow a code of conduct, and customers can report breaches to the Consumer Affairs Department. ASAP Tickets is a Better Business Bureau (BBB) accredited business with the highest A+ rating. This rating was earned by having met BBB accreditation standards, which include a commitment to make a good faith effort to resolve any consumer complaints. We are also part of the BBBOnline Reliability program. We are proud to be an Airline Reporting Corporation (ARC) accredited travel agency. To become accredited, we met the strict financial, personnel and ticket-security requirements. Following that, we successfully completed the advanced training and specialist testing. We are accredited by the International Airlines Travel Agent Network (IATAN). IATAN is a department of the International Air Transport Association and has been servicing all aspects of the U.S. Travel and Tourism industry for more than 20 years. Their programs are recognized all around the world. Our travel agents are experts at designing your personalized travel itinerary! This is their job and they work with ticket prices all day, every day, so finding the best deals is their superpower. Everyone can make an omelet (hopefully) but is yours as tasty as a top chef’s? Not only can travel agents find you the best deal, but they also have access to exclusive prices that aren’t available online. They also work considerably faster than you – even if you think you’re pretty speedy. Travel agents can make multiple reservations and hold your seat if you need time to decide. ASAP Tickets has dynamic business relationships with the most reputable airlines and travel suppliers. Because of this, we have access to the most competitive tariffs in the industry and the best last minute deals. 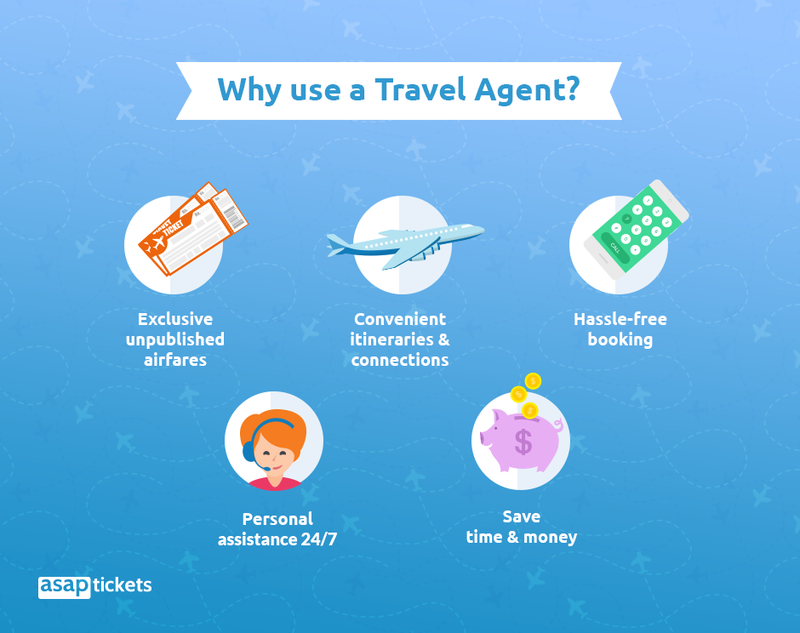 Travel agents are also useful for booking group travel or multi-city flights. Our travel agents are available 24/7 and can give assistance before, during, and after your trip. Our travel agents can answer your call not only in English but also in Spanish, Tagalog, Cebuano, Russian, Yoruba, Igbo, Pidgin, Swahili and Hausa. Check out some ASAP Tickets reviews to see what our customers have to say about us! We always appreciate it when you take the time to leave us a review. By checking other customers’ reviews you can see that ASAP Tickets is reliable. Check out some more reviews here on the blog! To make it easier for you to find reviews, we’ve launched our own review platform for ASAP Tickets reviews. Here we combine quality reviews from the independent review sites TrustPilot and SiteJabber. You can also vote on reviews for their helpfulness. Find out why you should start using our review platform! So, is ASAP Tickets legit? Yes! Call our professional and helpful travel agents today to find out how you can get your own personalized travel itinerary at a great price. We offer flights to more than 200 destinations all over the world. The number you need to call to experience our legendary ASAP Tickets service is 844-300-7983 (24/7 & toll-free)! Find out more on our website! Our secret to finding cheap flights? Unpublished airfares! Want to book flights but a bit concerned to give someone cc info when ASAP phone numbers do not match numbers on this site. Also booking is with agent on his phone. Sounds sketchy. How do a verify it is indeed an ASAP employee? Hi Lynn, thanks for your question. We do use a few different phone numbers for our own tracking purposes. Needed to book a flight to Zurich. I talked to an agent name Axel. I am not sure if he is actually an agent for your company. He gave me the direct number to call him 1-844-310-0712 Ext- 22558. I need verification that this is a legit number for your company agent and if he is actually an employee of ASAP. Thank you. Please e-mail the info to the following address. Working on a flight to Cagliari Elmas (Italy). I was able to talk and start working with a gentleman by the name of Bourne. He has sent me his contact number (800) 750 – 2751 (no extension). Before I decide to make the purchase, I would like to know that this is an actual agent for your organization and that this is not a hoax. Thank you for your time! Thanks for reaching out, I’ve forwarded this to our customer team to confirm this for you. I want to book a flight to Bosnia and got really good deal through Asaptickets with agent called Bucky. He gave me this number to call 1844-657-7794. I would like to know if he is legit and if I could book my tickets with no fear? Thank you. Thanks for your message, we’ll confirm this for you soon. Thanks for your question Roberta, someone will be in touch with you soon to confirm. Hi . I’m working with guy named Clement. Trying to book tickets to Bosnia and just trying to make sure that when I go to airport I will get on the plane :).